The ICANN-process for the introduction of New Top Level Domains is continuing. The sunrise period of the Love-Domains lasts from 6th May to 5th July. The General Availability of the Love-Domains starts at 17th May. 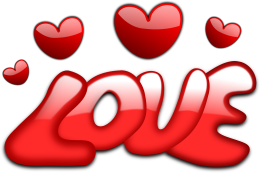 You can pre-register here your name at the Love-domain. The pre-registration is free, but compulsory. If we successfully register your domain, you will have to pay the domain fee of 60 US-Dollars per domain and year. In the sunrise period you have to pay 250 US-Dollar per Love-Domain. Do you want a secure webLove?